Before I say anything else, I have to tell you how blessed I am to be able to get back to painting and the joy it has brought me. 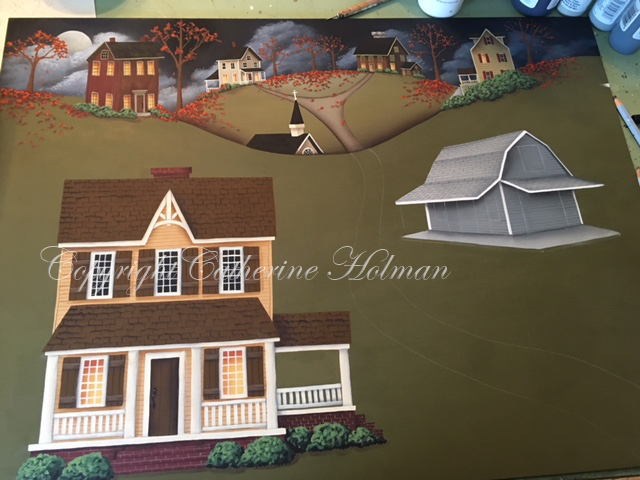 I started this autumn painting over a year ago and life got in the way. I'm not complaining, because things just happen and we do what needs to be done. I know that painting is my calling because as soon as I finished my art room, orders starting coming in from my Etsy store even though I had not added anything new. I'm hoping to change that soon. I will keep you posted as this painting developes, because the next stage is like adding the frosting on a cupcake. The magic and the fun is about to begin! I'm also working on a small Christmas painting that I have to finish first. Having a brush in my hand once again is something I'm so very thankful for. My prayers go out for the families who suffered so much this past week in Texas. Please join me in prayers for healing in this small community. 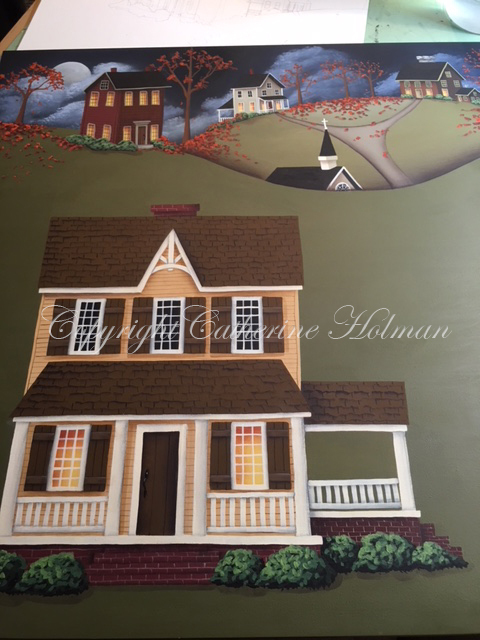 It's a place just like in this painting with a small church and hard working families who know their neighbors and help each other when needed. We need to get back to the basics of strong faith, prayer, grace, love, kindness, and the list goes on and on. Ephesians 4:32, “Be kind to one another, tenderhearted..."
You are such a warm and inspiring person and that’s why you are so successful. Continued success!